It is new condition as it has never been fitted to a machine, it was bought for a Denford Orac Lathe, I have sold the Lathe but the buyer didn`t want the ATC so here it is up for grabs. It has it`s own dedicated power supply unit and wiring instruction and also instructions on how to use it with Mach3 including a tool change Macro. See attached images, it is a really nicely manufactured compact ATC, I am asking £250 plus postage which is a fair price for such a nice unit. Do you still have the ATC for sale? Can you please send me your phone number. I have private message in my inbox from you but there is nothing in the message. I don't know if you sent me your phone but if you have then I did not get it. My phone number is 07854500851 if you want to phone me. 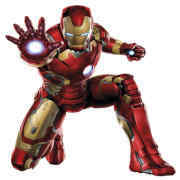 Iron-Man wrote: I know that this is a old post, but Lone_Ranger, did you ever sell it? Lone_Ranger I have no idea of the turret size. Do you know if it is a front or back turret? Can you provide the dimensions? I would like to use it as a turret for the NovaTurn if it is not too large. Hi, it isn`t very big, quite a compact unit, it is a "front" type ATC. I know this is a very old post but did you sell the tool changer? If not do you still wish to sell it? Bolt centres for mounting plate? I'm on the cusp of buying a replacement Multifix AA toolpost and various holders for an Orac, and cannot make my mind up about value + benefit of an ATC, Multifix or Aloris (copy) toolpost. Is this ATC still for sale? My apologies to all, I should have marked this as "SOLD" some time ago but just forgot so sorry but the item is no longer for sale.